Western Montana has a blossoming skate scene, fantastic skateparks, and too many underprivileged kids without the proper equipment to take part. 4Missoula is here to find these kids and provide them the opportunity for healthy, outdoor fun. The 5980-Sumthin Guest Artist Series consists of 12 skateboards, to be donated over the course of a year, whose designs were created by amazing local artists. Click here to learn more. Park Side coming clutch once again. 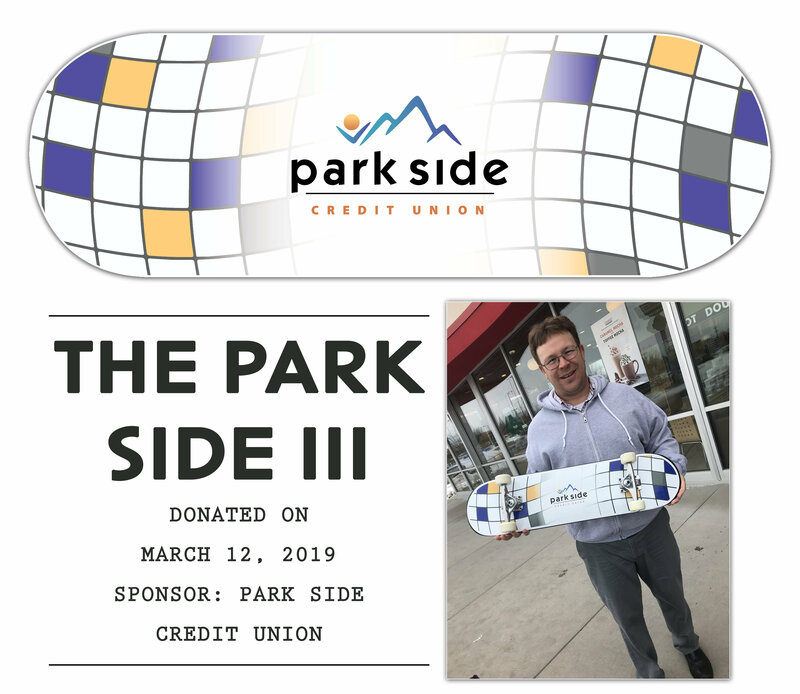 Thanks to Jeremy Presta and the entire wonderful team at Park Side Credit Union for the skateboard donation. I, of course, bank at Park Side and couldn't be more happy with them. Their staff is simply the best, they greet everyone with a smile, they know me by name, and that kind of service starts at the very top. As the first skateboard donation of 2019 (emerging from winter's slumber), this hopefully marks the beginning of a strong and powerful donation train for the year. Now all's we need is this snow to melt and the shredfest will commence. Thank you, once again, to PSCU for making this donation happen and for being such a great member of the community.